Kinect 2: So Accurate It Can Read Lips? Since its launch in 2010, the Kinect has changed gaming and inspired a whole new genre of hacking. 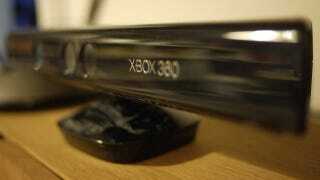 But Kinect 2 might blow it out of the water, if rumors are to be believed. According to Eurogamer, Microsoft plans to release a second-generation Kinect device that will offer improved motion sensing and even voice recognition. How much more accurate will it be, exactly? Well, a source told Eurogamer that it should be able to lip read. If that is true, that is wild. The same source also claims that it can track the pitch and volume of player voices and facial characteristics to measure different emotional states. That definitely sound plausible, though we'll have to wait and see if Eurogamer's reports turn out to be correct.